This story has made the rounds on the Internet over the last year, and it recently slid in to our Facebook feed. Even after all this time, though, it’s still incredible. In 2017, marine biologist Nan Hauser was on a research outing offshore from the island of Rarotonga, part of the Cook Islands in the South Pacific. During the outing, her research group spotted a whale, and Nan got in the water to have a closer look. 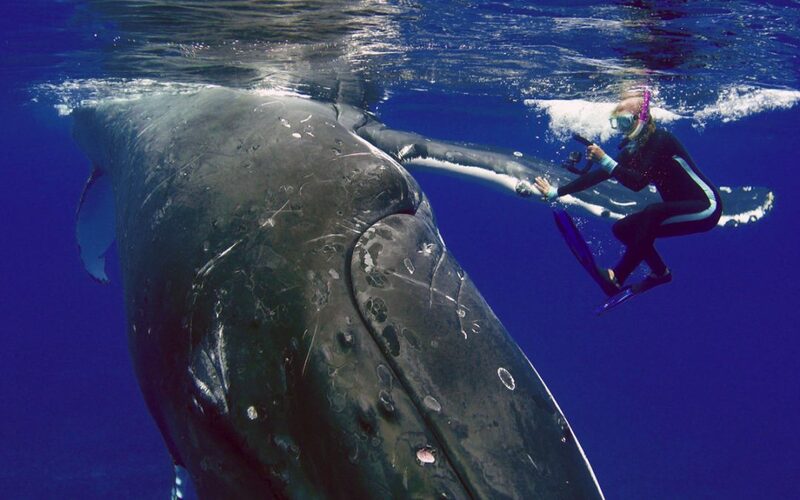 After swimming for a while, the whale approached her, which gave her a close-up view of the gigantic creature. At first, the situation was wonderful—the kind of thing a cetacean researcher dreams of experiencing. However, before long, she began to get concerned, because it was becoming apparent that the whale would not leave her alone. The whale began pushing Nan back toward her boat and lifting her out of the water with its pectoral fins. At one point, she was on the whale’s back calling to the crew on her boat for help. That’s when she learned from her colleagues that there was a big tiger shark in the water with them, and the potentially real significance of what was happening sank in: the whale was gently protecting her from a deadly predator that was circling nearby. Take a look at the video clips below for some footage from in the water, as well as Nan Hauser’s own account of the event. 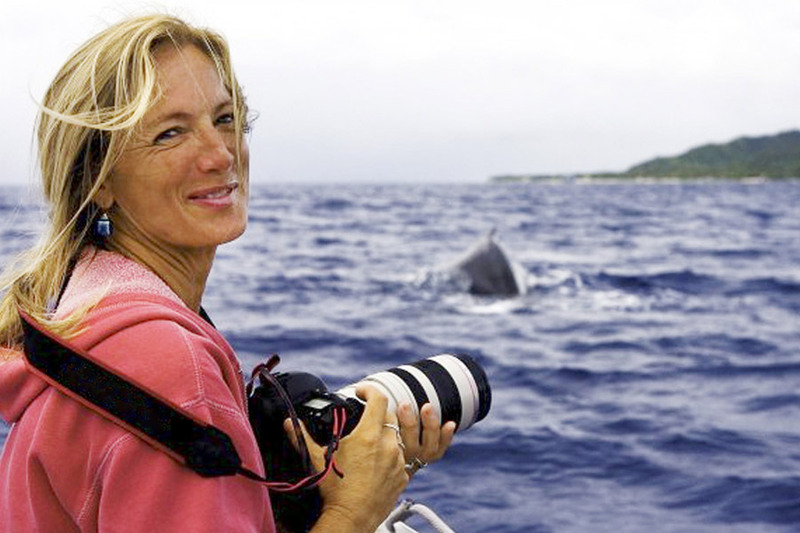 In her everyday life, Nan Hauser is the President and Director of the Center for Cetacean Research and Conservation in Rarotonga, Cook Islands. She is also the Principal Investigator for the Cook Islands Whale Research Project and Director of the Cook Islands Whale & Wildlife Centre. Nan’s research includes population identity, Photo ID, acoustics, genetics, surface & underwater behaviour, navigation and migration of cetaceans. Her satellite tag work includes results on how whales migrate over long distances using linear constant course segments. Nan has been the subject of many Animal Planet, Discovery Channel, National Geographic and Smithsonian films. For more information about Nan Hauser and her work, visit nanhauser.com.